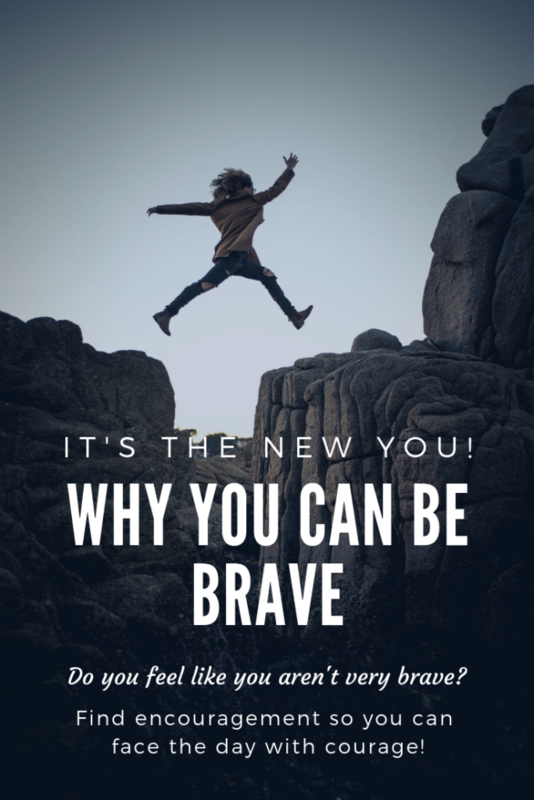 Digging Deeper with God Why You Can Be Brave: It's the New You! Inside: Do you feel like you can’t be brave because you have no idea what to do or where your strength will come from? How are you to be strong when you feel like turning off the alarm and pulling the covers over your head? Find encouragement so you can face the day with courage! “We’ve got this!” the captain of the volleyball team shouts to her team, down by 4, needing the win. The other players nod, eyes steeled across the net, knees bent, ready to respond. “You’ve got this!” a parent cheers. Ever feel like you don’t? Like you don’t at all have it? I wonder what Joshua thought, poised to take a land unknown to him, his leader and mentor dead, thousands of families looking to him to lead them across the Jordan River and into a new land. Was his stomach somersaulting with emotions? Were his hands trembling as he held his weathered staff? The things we don’t post on Facebook, right? When you’re supposed to be brave to face the day, but what you really want to do is turn off the alarm and pull the covers over your head. I don’t know what it is for you. While the rest of the world celebrated three holidays in fast succession, my household grew by four and my mom had a total knee replacement with a later complication. A job was lost, and the teenagers got older. One of them faked a fever. Remember those old tricks? I’m pretty sure she ran the thermometer under hot water. For the first time ever, the teenager who fears shutting her bedroom door shut her bedroom door to talk to someone online. Other, harder things happened. How do I lead through this, and do I really have to get up at 6 a.m. and have it all together? Neither did Joshua, and God knew it. At just the right time, God came to Joshua and gave him the pep talk to beat all pep talks. Different from the pep talks you’ve heard from coaches. More powerful than the self-initiated conversation that runs through your head. 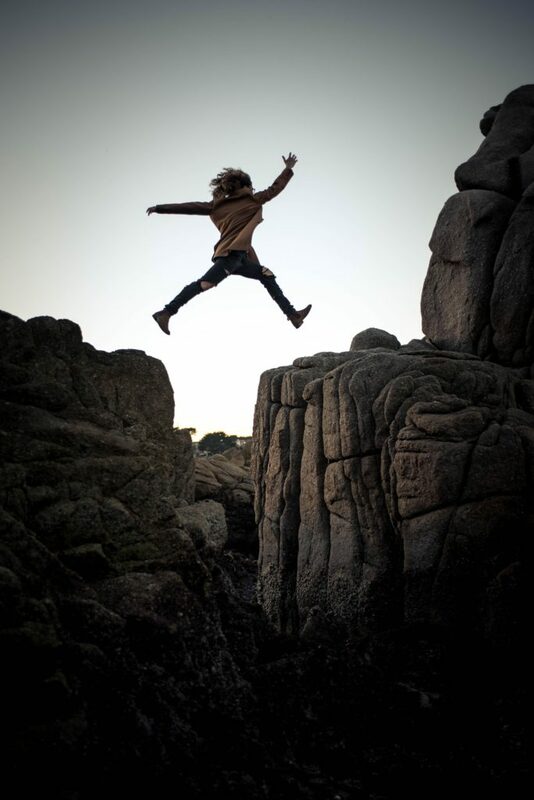 For What Is God Asking You to Be Brave? Has God presented you with a new venture for which you need his strength and courage? Are you looking at a Promised Land but doubting your abilities to take it? Are you unqualified and unprepared? Might God be saying, “Be brave, because I will be with you wherever you go”? Write an encouraging note to a friend or coworker? Take that deeply personal thing to God in prayer? Stop that habit in its tracks? Keep your mouth silent, your lips sealed? To be sure, any one of these things takes strength and courage from God. You might be facing several. What should I do about the teenager’s closed door? How can I be a godly, positive force in a burgeoning household? Will he please give me strength to be productive at work while all of this is swirling around? Today or throughout the week, join me in digging deeper with God. Read Joshua 1:1-9 and reflect on the following questions. Verses 5 to 9 are printed for you below. You might write in a prayer journal or take notes in your Bible. 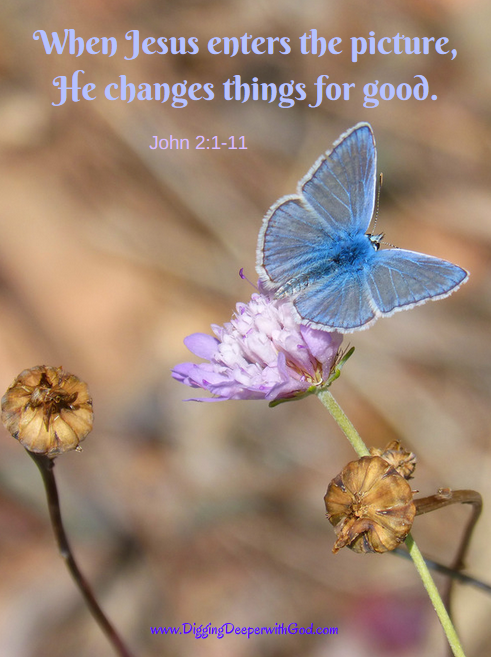 This passage is ripe with potential for Bible art journaling! 1. Imagine how Joshua felt first before and then after God spoke to him in this passage: before and after the holy pep talk. Record your thoughts. Can you relate to these feelings and emotions? 2. What do you learn about God in this passage? If you are familiar with the account of the fall of Jericho, which was the first city to fall in the Promised Land, what might that have proven to Joshua about God’s promises given to him in this passage? 3. What has God asked you to be brave to do? How is it going? What do you need to take to God in prayer? There is nothing like a little worship to wipe away fear. Be brave to sing your praise to the Lord!